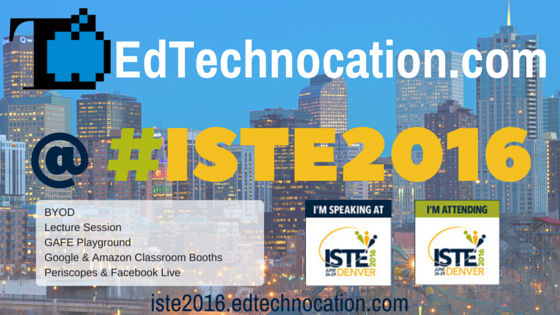 EdTechnocation: Find EdTechnocation.com at ISTE 2016! Whether your going to #ISTE2016 or not, I'll be providing plenty of ways for you to connect with me both at the conference and online! Find out what I'll be doing and where I'll be during #ISTE2016! Add this session to your ISTE Schedule! I'll be presenting my first BYOD session this year to a crowd of 150+ attendees! I'm excited and nervous, but for this session I'll be sharing one of my favorite Google Apps topics: Add-ons! 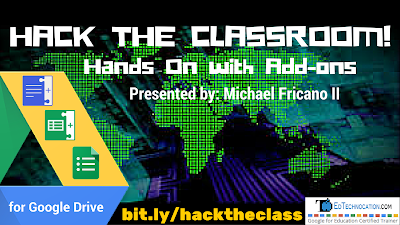 To see my Google Slide deck and resources visit bit.ly/hacktheclass. I'll also be presenting my first lecture session at ISTE this year and the topic is dear to my heart. 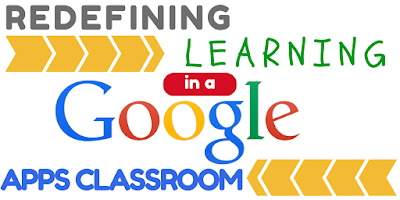 You may be familiar with Google Apps for Education, but how can we use these powerful tools to redefine the learning in our classroom? 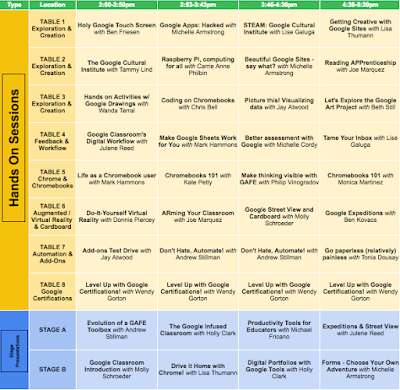 In this session I'll be blending the SAMR model with GAFE along with some great project ideas. Check out the Google Slide deck and resources at: bit.ly/redefinegoogle. 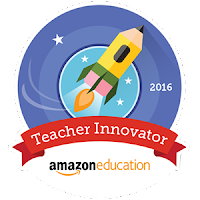 Amazon Education has some exciting stuff to announce at ISTE this year! I'll be visiting the booth on Monday for a "Resource Sharing" and demo. If you're interested in finding out more about this, visit the booth and come see me on Monday (6/27) at 2:00 pm. Also, join the Amazon Education Waitlist! Add this Playground to your ISTE Schedule! My favorite places to visit at ISTE are all the great Playgrounds! And this year, for the first time, we'll have a Google Apps for Education Playground, led by +Jennie Magiera and Chris Craft and sponsored by +EdTechTeam. This Playground is on Tuesday (6/28) from 2:00 pm - 5:30 pm. I'll be there the entire time volunteering, periscoping, and Facebook Live(ing). I'll also be presenting a repeat session of my Lecture (above) on Stage A from 3:46 pm - 4:36 pm. Stop by and say hi! 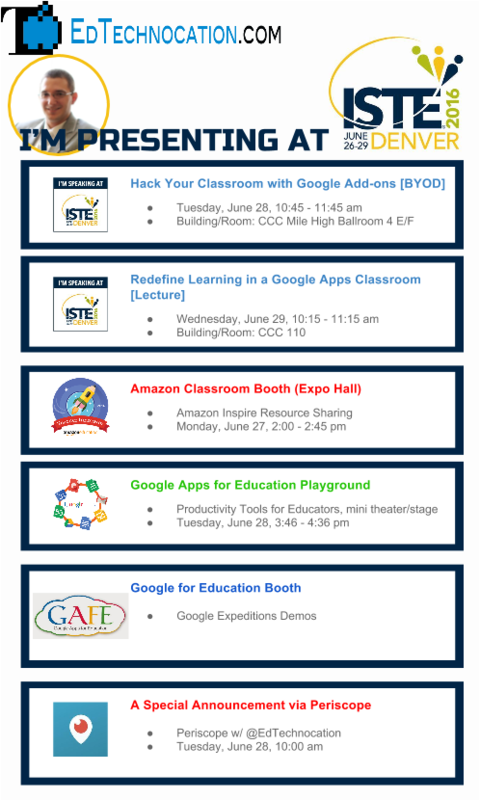 Check out what else EdTechTeam is doing at ISTE: bit.ly/googleiste. We were introduced to Google Expeditions last year at ISTE, and now that the Expeditions Team has been traveling the world demoing to more than 1 million students, they have even more exciting news to offer us at ISTE 2016! I'll be at the booth (#2511) volunteering with the Expeditions demos: Monday, 6/27, 2:30 pm - 5:30 pm. The Google for Education Team will be hosting small roundtable discussions regarding the pain point that students face when migrating their work as they leave a domain (i.e. graduation, transfer, etc.). They want to talk to IT Admins and Technology Specialist about some issues that many schools and districts face and about possible solutions. If you'd like to participate, fill out their Signup Form or visit them at the booth (#2511). I'm vowing to connect more with the online #ISTE2016 and #NotatISTE crowds! So this year I'm trying my hand at Periscope and Facebook Live. 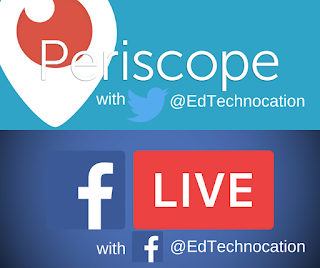 Through the entire ISTE conference, I'll be randomly airing Periscopes and/or Facebook Live videos through my @EdTechnocation Twitter account and my EdTechnocation Facebook Page. Please follow me on Twitter and "Like" me on Facebook. 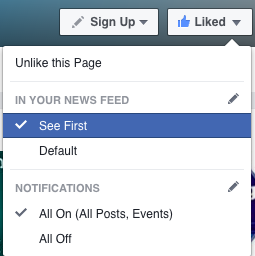 And if you would be so kind as to mark the "See First" and "All On" options on my Facebook page. That will allow you to be notified when I post from ISTE or start a Facebook Live video! A Special Announcement via Periscope! On Tuesday (6/28) at about 10:00 am MT I'll be joining a big ISTE sponsor to make a special announcement from the Expo Hall floor via Periscope! 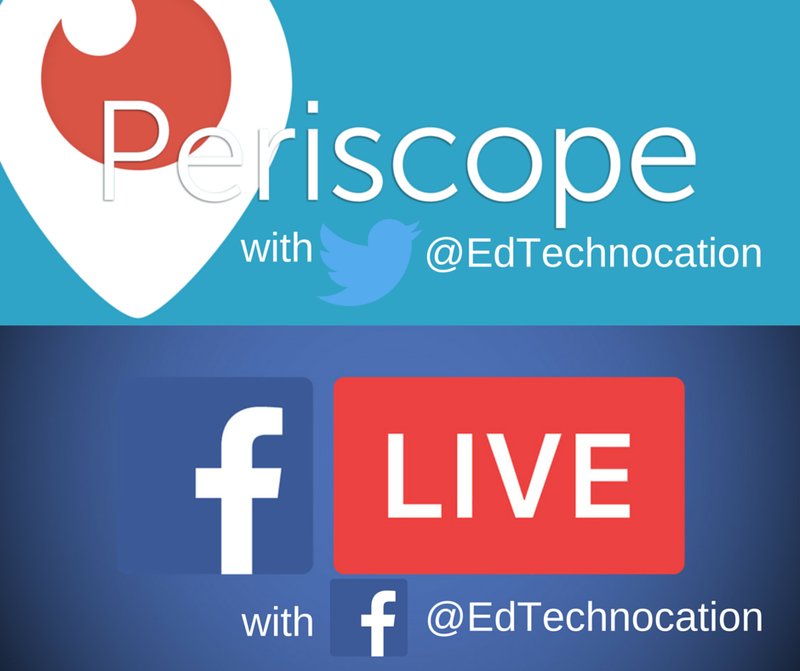 Follow me on Twitter at @EdTechnocation to find out more and to watch the Periscope on Tuesday! What are you looking forward to the most at #ISTE2016 or #notatiste? Share in the comments!